Mr. Fish was an attorney of some note. 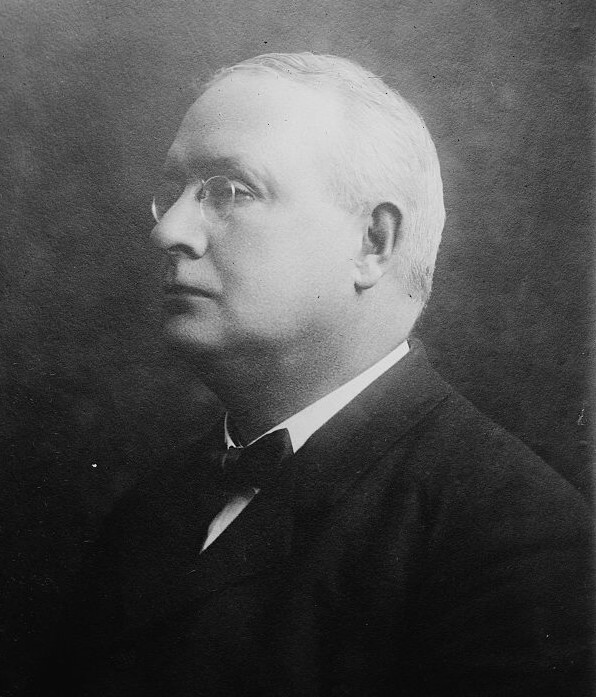 He argued important cases in the Federal Courts for the Thomson-Houston Company, the Pullman Company, and the New York Air Brake Company. He also represented the General Electric Company in the final decree of Oct 12 1911 that resulted in the dissolution of the National Electric Lamp Association. It is of interest to add a footnote to the history of the nomenclature of the incandescent lamp. It was suggested by Franklin Terry, in a letter dated Apr 6 1908, that a distinctive name be associated with the new emerging tungsten lamp. That lamp was to be designed and manufactured with all the technical knowledge then accumulated in Cleveland, Schenectady, Harrison, and other smaller factories of the National group who were absorbed into GE. The tungsten lamp technology was also licensed to many other competitors and subsidiaries of GE, both within the USA and worldwide. It was the intention of the new brand not to be the name of a thing, but rather the mark of a service - that service being the sharing of technical information between the different centres of expertise, to deliver tungsten lamps of the utmost highest quality and performanceto the customer. Many words were suggested and Mr. Fish was one to submit his ideas for the name. One that he suggested was "MAZDA", taken from the ancient Persian literature. Mr. Fish made that suggestion on Sep 14 1909. It became a trademark of the General Electric Company, being registered May 3 1910 as No. 77,779. The word MAZDA was first used on lamps on Dec 21 1909. It's believed that MAZDA lamps made from that date to about May of 1911 utilized sintered tungsten filaments, whereas those made after May 1911 utilized drawn tungsten filaments. Westinghouse used the name MAZDA starting in 1912. In 1921 it was agreed within General Electric that "Words that are descriptive of the appearance of the lamp will precede the word MAZDA, as in the case of the White MAZDA lamp. Words descriptive of the function of the lamp will follow the word MAZDA, as in the case of the MAZDA Mill Type lamp, the MAZDA Train Lighting lamp, or the MAZDA Motion Picture lamp. Use of this brand was licensed to all lamp manufacturers who shared GE's intellectual property on the tungsten lamp, but its use was suddenly stopped in the Americas in 1945 following a series of antitrust lawsuits related to GE's incandescent lamp cartel. "Frederick Parry Fish", in The Electric Incandescent Lamp 1880-1925, E.J. Covington, GE Lighting NELA Press, Cleveland OH, 1998, p.137.